We all know how beautiful is crocodile stitch and have seen many pretty and useful things crocheted with this stitch. Today we think this will be most beautiful and comfortable clothing that we can crochet with crocodile stitch. The cape you can see on these pictures is crocheted with crocodile stitch and we have pattern that you can use as help and guide. 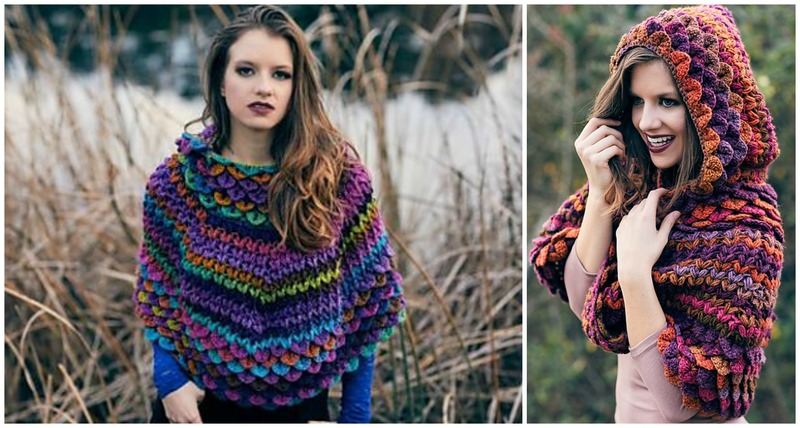 Many of you may will fall in love with this cape, so you can start crocheting now if you have some yarn and free time. Good luck and we hope you will choose great colors and with results will be happy.